She did it again, y’all! 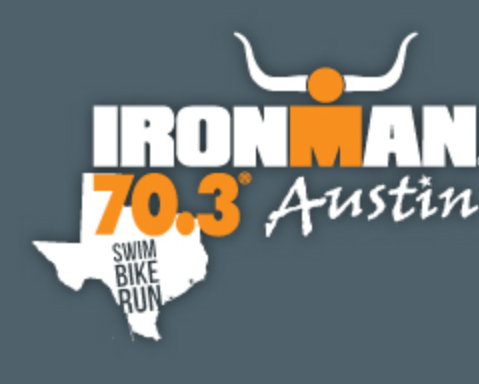 Boulder’s Jeanni Seymour made lemonade out of lemons last weekend in Austin by taking control of the swim-free 70.3 race. 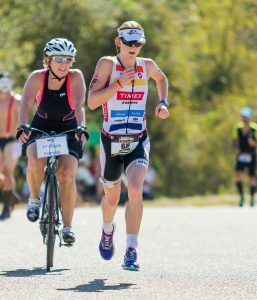 The time trial start was no problem for the repeat Ironman 70.3 Austin champ as she turned in the second fastest bike split and fastest run of the day, propelling her to victory in a time of 3:49:34. We caught up with Seymour to find out how she handled the pressure of wearing bib “number one” and racing in the Texas heat. 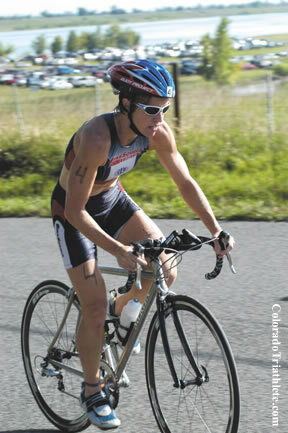 Colorado Triathlete: What went through your mind when you realized there would not be a swim? Jeanni Seymour: The fog was crazy! I never expected anything like that, but I was fortunate to have already had a similar race situation earlier this year. 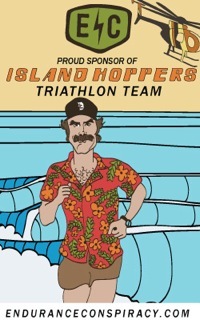 Ironman 70.3 Racine cancelled their swim and I actually had a terrible time there because I didn’t adapt quickly to the change. 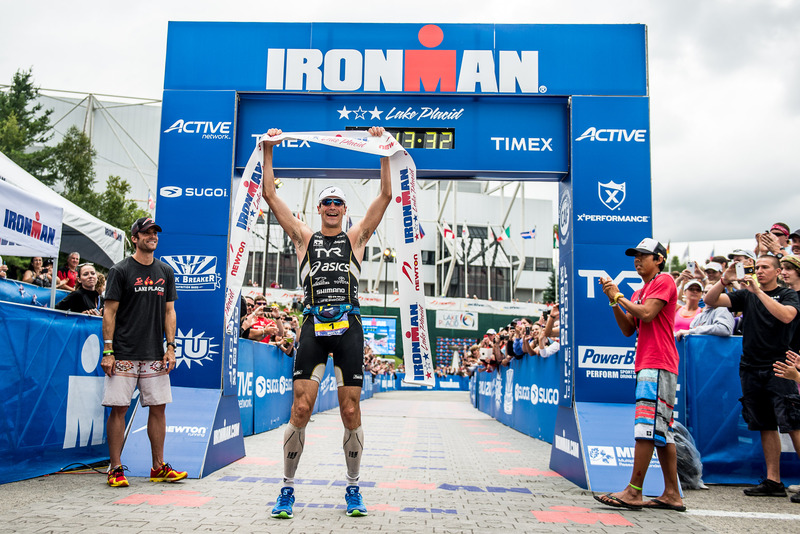 In this race, I was able to refocus once I knew there wouldn’t be a swim and took it as an opportunity to ride and run strong. Luckily, it all worked out for me in Austin. CT: How did your race unfold throughout the day? JS: My race wasn’t perfect by any means. Because it was a time trial take off that left in numerical order, I took off first. Everyone rolled out 30 seconds behind each other, so I focused on the power I needed to hold on the bike. I told myself I would try to go with anyone that caught me and Melanie McQuaid ended up catching me. I tried to ride with her for about 45 minutes, but she was just too strong and I had to let her go. I could feel my heart rate going up, so backing off was probably what was best for me so that I could control my own race. I had a rough last 10 miles of the bike, but I focused on getting ready to run well off the bike. Once I was on the run, I knew I would have to run well to catch Melanie even though I didn’t feel amazing. But I felt strong. It was already pretty hot so I just focused on getting water and dumping ice down my race suit. That last lap was pretty hot on the run! CT: Once you were in the lead, what did you tell yourself and what did you do to hold on for the win? JS: I passed Melanie within the first three miles, but because it was a time trial start, I didn’t actually know if I was in the overall lead. You don’t know how the other girls are running so I just ran as hard as I could. Coming into the finish line, I started to think I might have won. CT: Besides winning, what were some of the highlights of this race for you? JS: This was a special race for me because I have cousins from South Africa that live in Austin. They come out and support me during the race and take care of me while I stay there. It’s a super weekend with some great family time and nice dinners. They help keep me pretty chill before the race so it really helps! CT: Did you feel any pressure? Or were you relaxed knowing you had won the year before? JS: Leading up to the race, I definitely felt the pressure after winning here last year. Of course, I wanted to win again, but you never know how race day is going to go. I worked through a lot of my nervousness with my coach so that helped. Actually, on race day, I didn’t feel much pressure because of the cancelled swim and time trial start. It ended up being a good day!